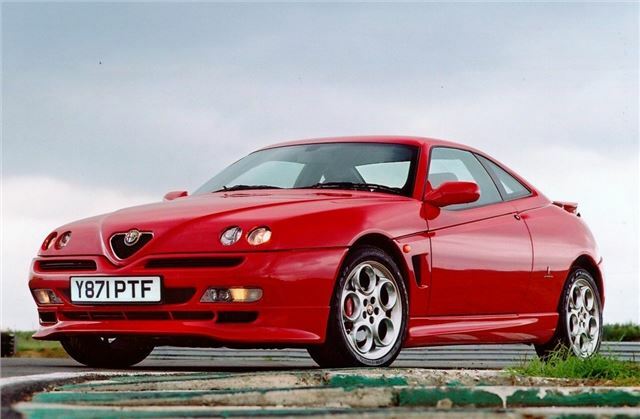 With a ten-year production run from its launch in 1995, the front-wheel drive GTV was one of the longest-lived coupes of its generation. And with 220bhp offered via the 3.0-litre version, it was one of the quickest – providing a top speed of 140mph and the 0-60 dash in 6.7 seconds. This characterful coupe is more of a driver’s car than the Spider it’s derived from, thanks to the convertible version’s severe scuttle shake. But the best news is the value that’s on offer here, with decent 3.0-litre GTVs priced from as little as £1500-2000 upwards.